The drain covers in the tubs can entangle a bather's hair in the openings, causing the bather's head to be held under water, which can result in drowning. 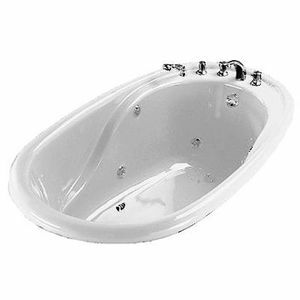 This recall involves about 5,500 bathtubs that are acrylic with 6-12 jets. The Crane logo is printed on the whirlpool and/or noted on the air control valve. Home improvement, retail and wholesale stores nationwide from March 2007 through February 2009 for between $700 and $2,700. Immediately stop using the recalled tubs and contact Crane for additional identification information on affected tubs. Those who have the recalled tub can either contact Crane directly to arrange for a service agent to perform a free, in-person replacement in their home or facility; or choose to replace the part themselves and Crane will provide them with a free repair kit and directions. For more information, contact Crane Plumbing toll-free at (866) 876-3632 between 8 a.m. and 6 p.m. ET Monday through Friday or visit www.craneplumbing.com.